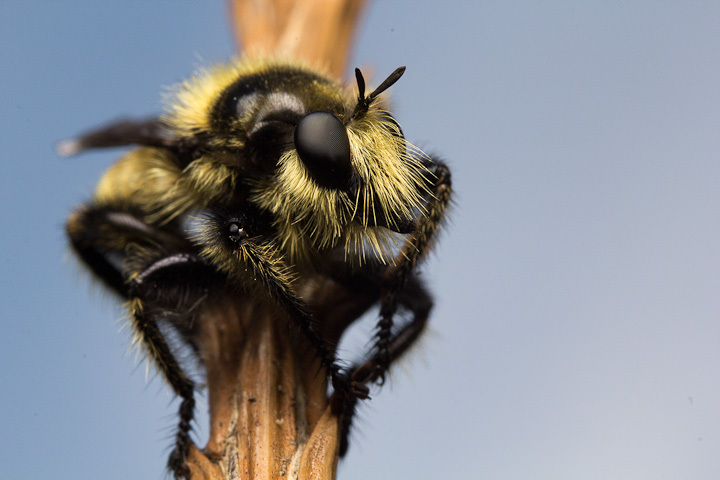 Coming in to the lab this morning, I found this beautiful male Laphria robber fly sitting on a window. He was still cool from the night, so he made a very cooperative photographic subject. 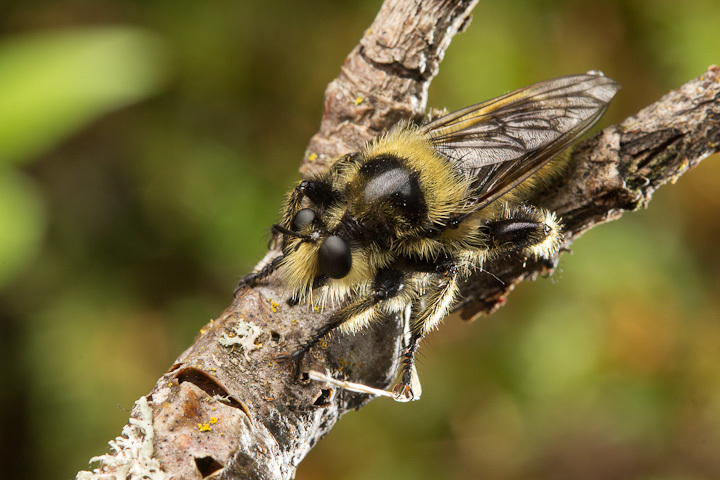 These large handsome flies are strikingly marked and are Batesian mimics of bumblebees. 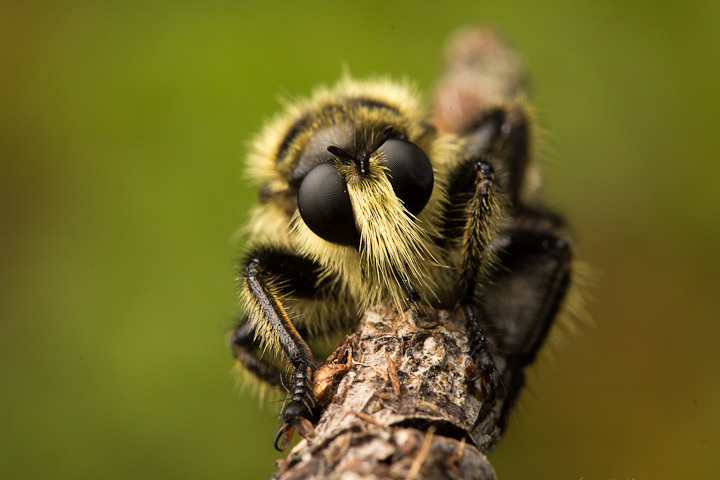 Robber flies do not rob banks, they rob life. 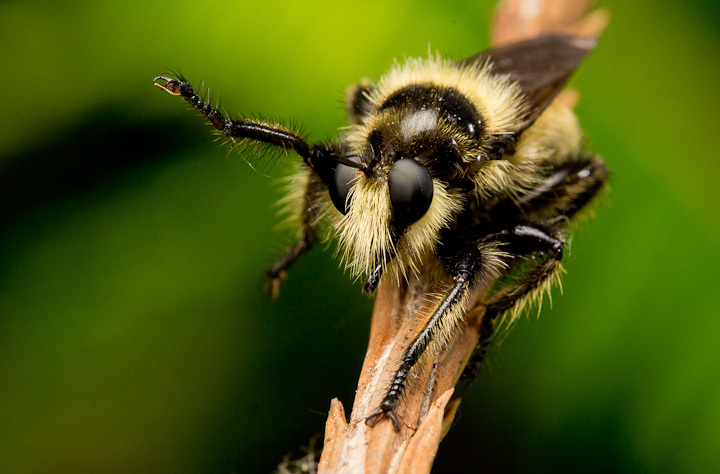 For a great example of this, see Alex Wild’s wonderful photo of one with a honeybee. This robber robbed me of about 30 minutes of photography time, but I think it is well worth it! If you are interested in how to get these blue sky backgrounds, see this excellent post at Beetles in the Bush. Fascinating, as always. 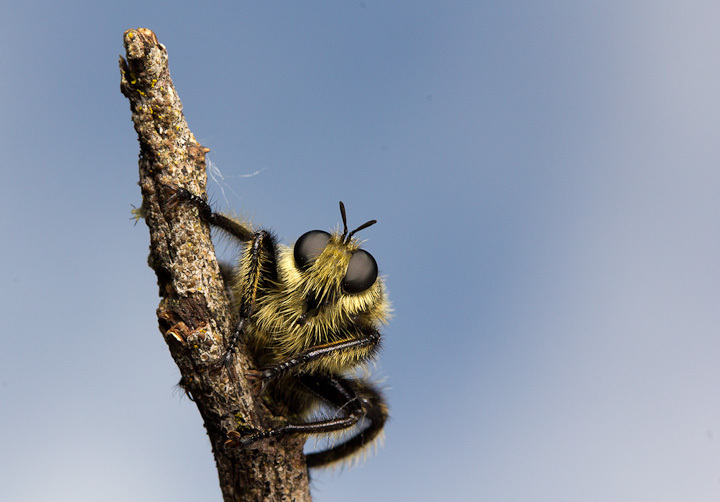 I am slowly becoming an insect fan. 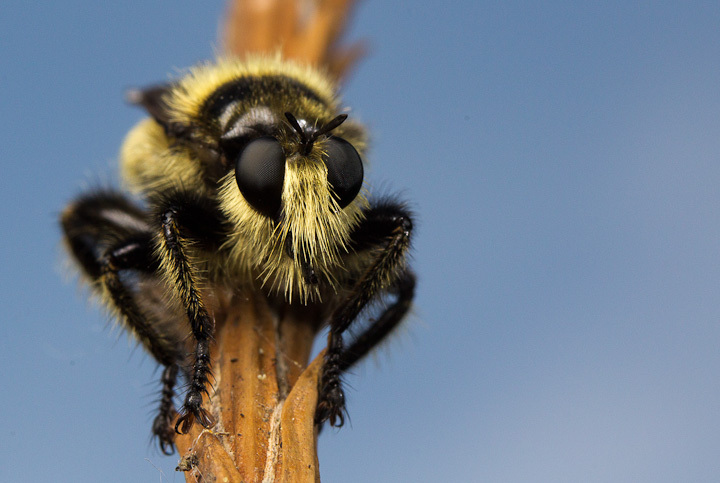 Robber flies are the best flies, and laphriines are the best robbers. If you know my photographic style at all, then it won’t surprise you that I greatly prefer the blue sky background pics here. Very nice! I saw your post the other day, and it must have been in my mind when I was making these! It is a great way to simplify the background. That’s a great shot of Chalcophora angulicollis – mating to boot! Looking generally at blue sky images, I am thinking that I like a pale blue better than an intense blue, which competes with the subject too much. 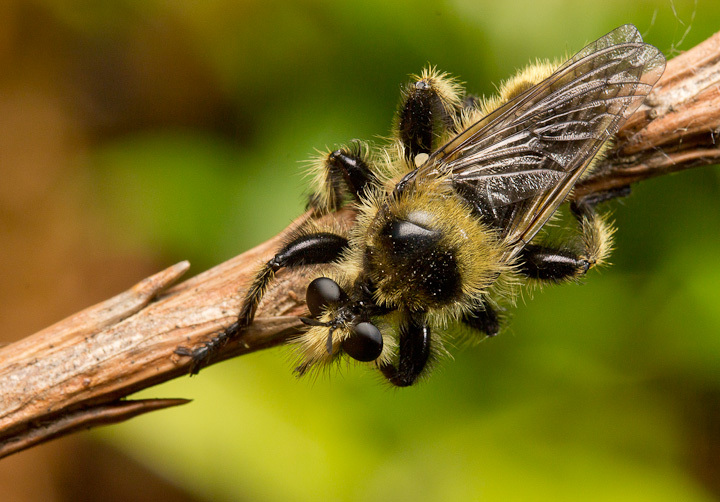 Great shots, and a type of fly that I wish I came across more often. I wish I found them more often as well! I agree, especially if there are light wisps of cloud which to my mind add realism to the scene. Unfortunately, the lighter shades of blue require even more compromise on shutter speed, ISO, or aperature – it’s a delicate balancing act to get the desired shade of blue and maintain good detail with the subject.